This delicious tapioca pudding can be eaten warm as breakfast or, if chilled, as dessert. Cassava combined with tapioca pearl in coconut milk is a very old recipe in Mauritius. During the pre-independence days in Mauritius and mostly during and after the second world war, when food was scarce, cassava was a staple in many Mauritian households. Many people relied on this starchy root as their main source of carbohydrate – the Kat-Kat Manioc was a popular cassava stew back in the day. Tapioca pearls are actually made from the root of the cassava plant and are commonly available in the form of little white balls or pearls. Although lower in protein than cereals and pulses, cassava does contain more protein than other starches like yams, potatoes or plantains. 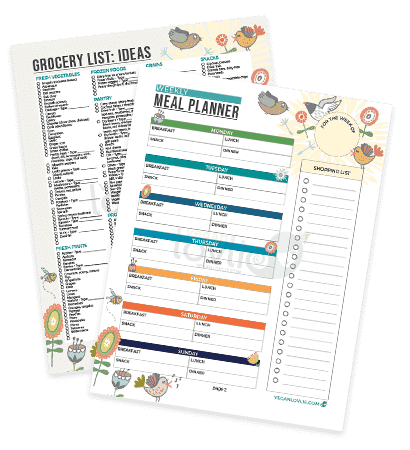 Being naturally gluten-free, it poses a valuable source of some important minerals like zinc, magnesium, copper, iron and manganese. For centuries it has been a staple food source in many parts of Africa, Asia and South America. In Mauritius, cassava and tapioca pearl in milk is a very old recipe passed down through generations by our grandmothers. Today, and even back during my childhood days, this tapioca pudding is less common but I do have some fond memories of my mum making it for us simply because I absolutely loved eating it. Cassava in milk made a tasty after-school snack and sometimes an agreeable convalescent meal when my sister and I were sick. Very often, the recipe only calls for one, either cassavas or tapioca pearl. 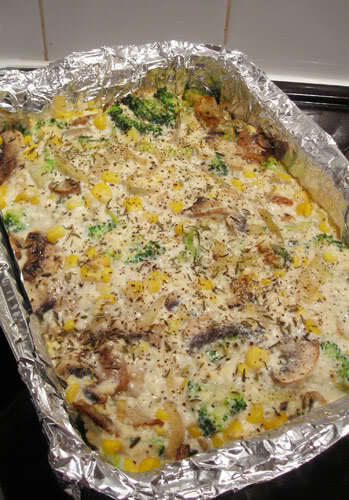 My recipe here includes both but, as you can see, this recipe is very basic with few ingredients and is very versatile. I am using vanilla bean to add fragrance but back in the days, cardamoms, a cinnamon stick or even a dollop of fresh butter or ghee were more popular in this dish. It is peculiar to think that what was once a cheap source of carbohydrate is now a pricier alternative to other staples — nowadays cassavas are even pricier than potatoes. 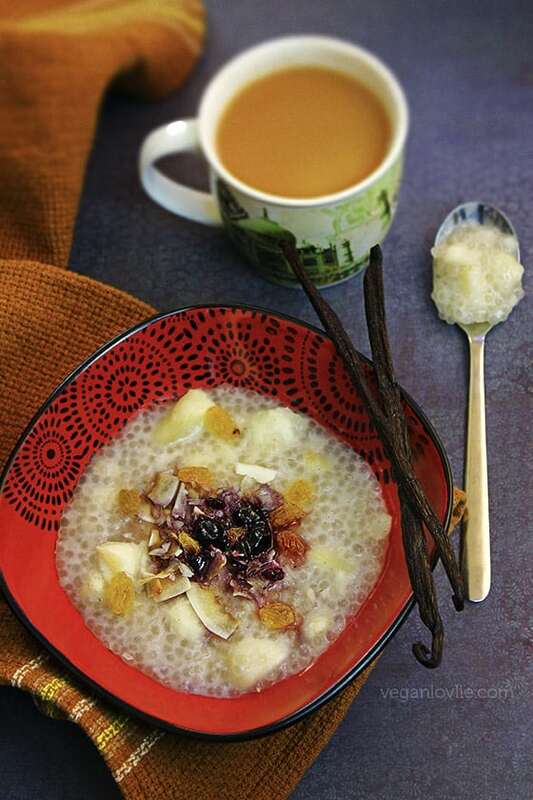 Being rice-free and gluten-free, a bowl of warm cassava and tapioca pudding is a comforting change from oatmeal (sweet or savoury), rice porridge, fresh fruits or smoothies for breakfast. 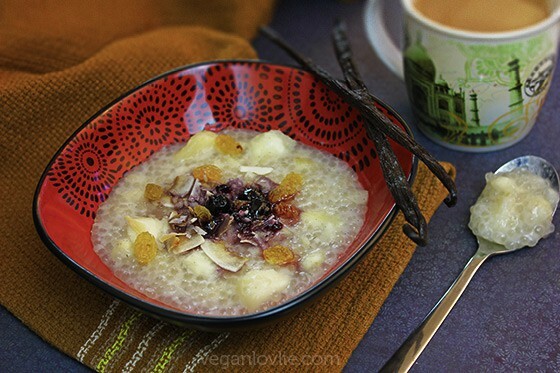 This pudding keeps well for a few days in the fridge and can be reheated; adding a little water or coconut milk will help bring the consistency back to porridge-like as the tapioca pearl will jellify. 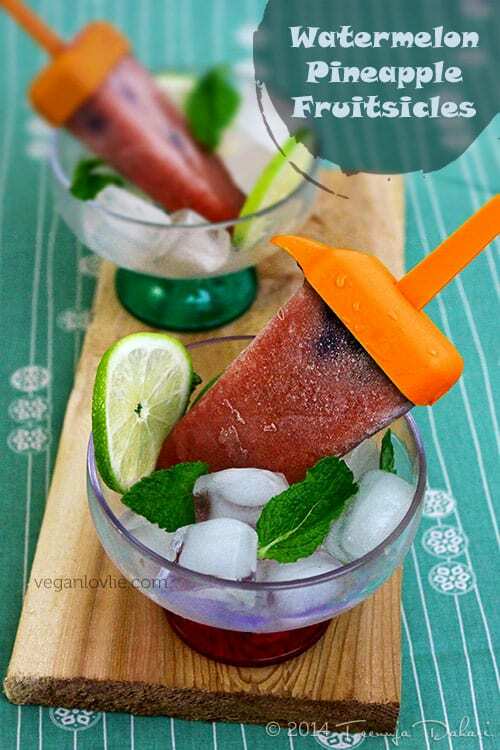 Although the chilled version can also be enjoyed as dessert. 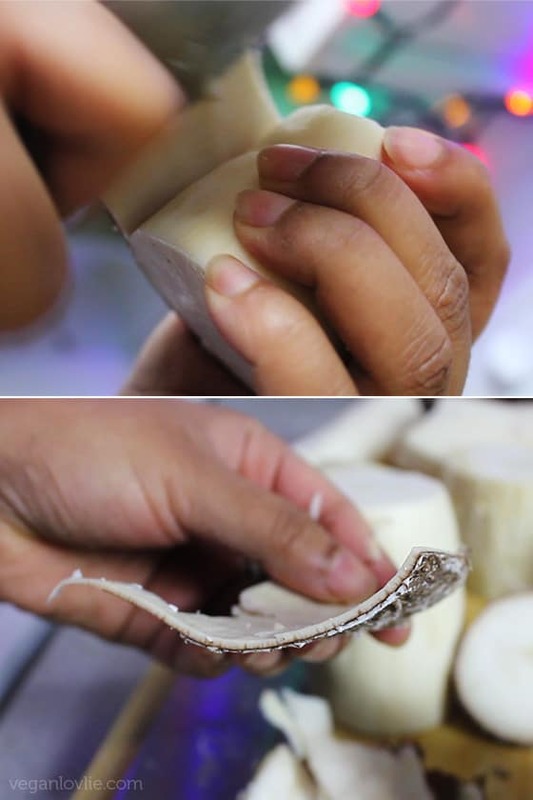 To peel cassava, cut them across into 2 to 3 pieces, then make a slit into the skin. Slide the knife under the slit and lift the skin. 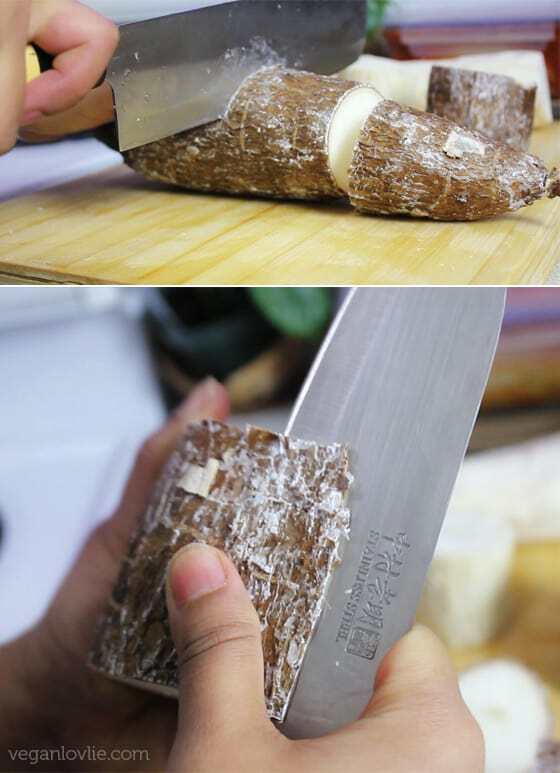 Grab the skin in between your thumb and the knife and then pull and cut gently. The skin should more or less come off rather easily. After peeling the cassavas, place them in a steamed and steam until soft. This should take 15 to 20 minutes. You may also put them in a pan with a little water and cook until soft (do not completely cover them with the water though). 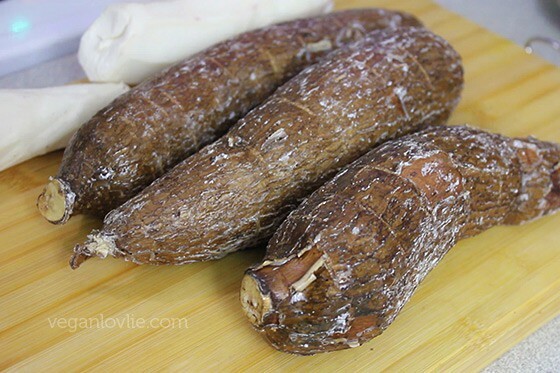 When cassava is cooked, coarsely mash them into smaller pieces. Meanwhile, start cooking the tapioca pearls. In another pan, bring the water to a boil. Then add in the tapioca pearl gently in a swirling motion. Stir them and cook on medium heat for about 12 – 15 minutes or until all the pearls have become transparent (with no white dots in the centre). 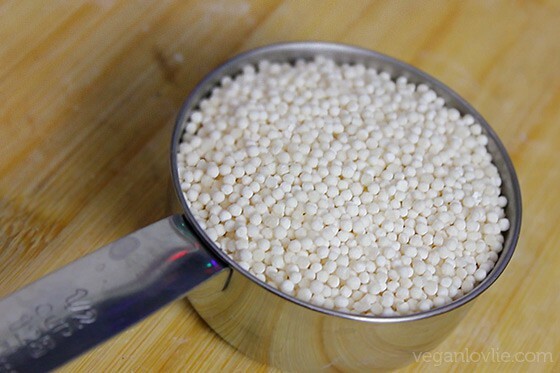 Occasionally, check on the tapioca, stir and add a little water if necessary to avoid burning. All water should be absorbed when the tapioca pearls are cooked. Remove the tapioca pearl from the heat and set aside. Now, in a smaller pan, warm up the coconut milk. Scrape the inside of the vanilla bean and add the vanilla to the coconut milk. Whisk to mix the beans evenly. (You may also skip warming the coconut milk and add it directly to the tapioca pearls). Add the warm coconut milk to the tapioca pearls. Add the sugar. Stir and mix well. Add the cassava. Cook for another 7 minutes. To serve, you can top with coconut flakes, your favourite jelly or jam, dried fruit, chopped nuts or seeds, anything you fancy. This can be enjoyed both as breakfast or, if chilled, as a dessert. In Mauritius, cassava and tapioca pearl in milk is a very old recipe passed down through generations by our grandmothers. It can be eaten warm as breakfast or, if chilled, as dessert. Then add in the tapioca pearl gently in a swirling motion. Stir them and cook on medium heat for about 12 - 15 minutes or until all the pearls have become transparent (with no white dots in the centre). Are there any recipes that you love to make with cassava and tapioca pearl? I think there are much more potato cultivation than cassava nowadays but I am sure there would be places where they'd be cheaper to buy. I had a vegan cassava cake with coconut cream, paw paw and mango in Nadi and it was spectacular. I also had cassava crisps, it was also interesting! Very interesting history about cassava, I’ve never seen these roots before! They remind me of taro! Looks absolutely delicious, love tapioca, coconut milk and everything in it! 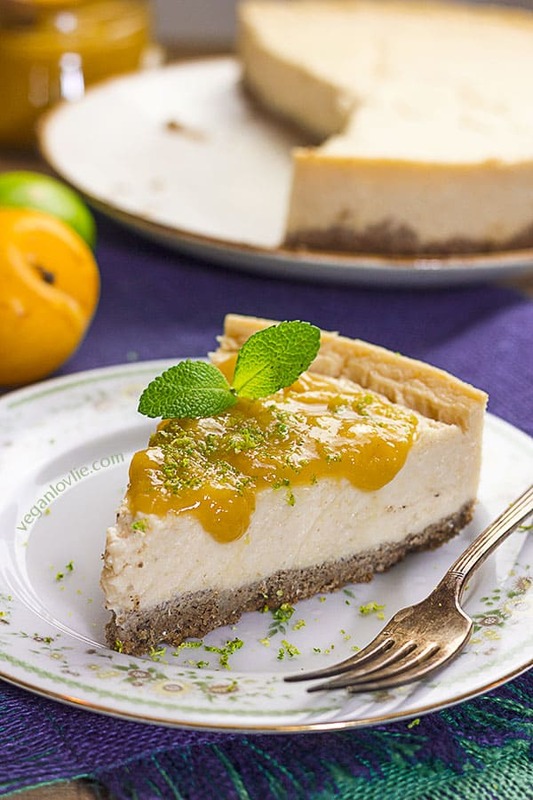 I'm pretty sure I've tried the pearls a long, long time ago in a dessert and was entranced by the texture – I've only just remembered it now looking at your pic! Thanks for the reminder. Cassava thought I'm more at home with – got to love the cassava chips.